Agents have hailed a “good budget for independents” that could save frontline travel firms thousands of pounds a year and encourage more young people to pursue careers in the sector. Business rate relief, additional investment in the high street and a focus on apprenticeships were focal points of chancellor Philip Hammond’s budget statement on Monday (October 29). The government has promised a “more competitive tax regime for businesses”, particularly SMEs like travel agencies, which could see up to 90% of all retail properties benefit from business rate relief. Hammond announced the government would cut bills by a third for premises with a rateable value below £51,000 for two years, starting next April. A £675m Future High Streets Fund, meanwhile, will provide cash to make high streets and town centres “fit for purpose” and support “sustainable transformation” of Britain’s high streets. The chancellor also announced a £240 million pot that will halve the co-investment rate for apprenticeship training to just 5%. 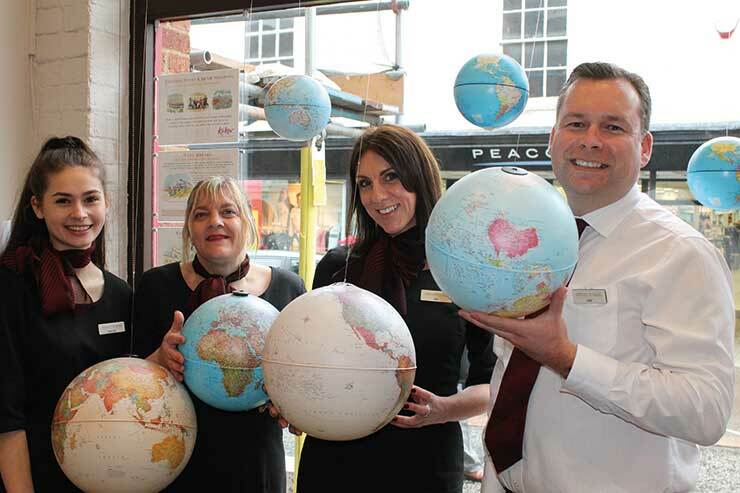 Shona Thorne, owner of Thorne Travel, said it was a “very positive budget for independents”. “At the moment, it feels like we’re too focused on the what-ifs of Brexit. "We need to think about things we can do to grow businesses now. Business rate [relief] make a massive difference, especially for businesses looking to expand. It gives you confidence to plan for the future and not worry about costs. “More focus on high street investment is vital. When we opened, our high street was finding it difficult to attract customers. Investment was made and now I think only three of more than 40 units are empty. We have a lot of towns that would really benefit from the rejuvenation the government has proposed." However, Lee Hunt, managing director of Deben Travel, said the measures would “only go so far” to offset the impact of factors like the ban on payment card surcharging. He said the business rate relief would likely save his business around £1,500 a year across its two Woodbridge stores, Deben Travel and Cruise Ready. “It’s a sizeable chunk of money to go on the bottom line," he said. "We’ve never had a cut before so I’m waiting to see the finer details. I hope it all comes off. “It’s a good news budget but with card charges still having a big impact, it can only go so far. We’re lucky in Woodbridge there a strong campaign around our high street - about 80% of our shops are independent - so we can really see the benefit of Future High Streets Fund. Having a thriving high street brings in customers from all around the area. Gary Lewis, chief executive of The Travel Network Group, added: “UK high streets have been significantly disadvantaged in recent years - [this] budget has at least given some positive news to all those businesses trading in what can only be described as challenging conditions.